Residents of Jumeirah Park will soon be able to get in shape at a new health, fitness and leisure centre, aptly named the Jumeirah Park Clubhouse. 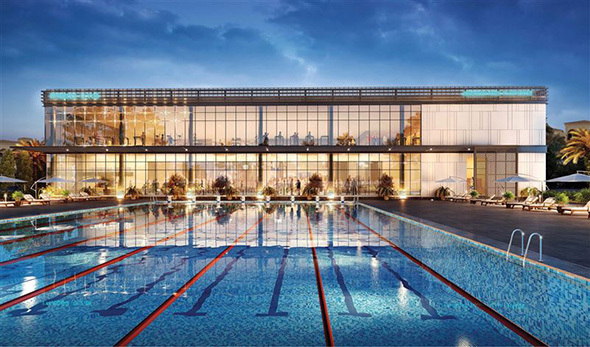 The massive new sports complex is set to open in 2019, with Nakheel confirming in a statement via the Dubai Media Office that it will feature an Olympic-size swimming pool, as well as a 16,000 sq ft gym and spa. The Clubhouse will be the largest such fitness hub that the developer has built amongst a growing collection of similar projects in other areas such as Jumeirah Islands, Jebel Ali, Al Furjan, Warsan Village and Jumeirah Village Circle. Other amenities will include a range of health and wellbeing-focused restaurants, cafes and shops, with dedicated facilities for children, including a nursery and kids’ pool.